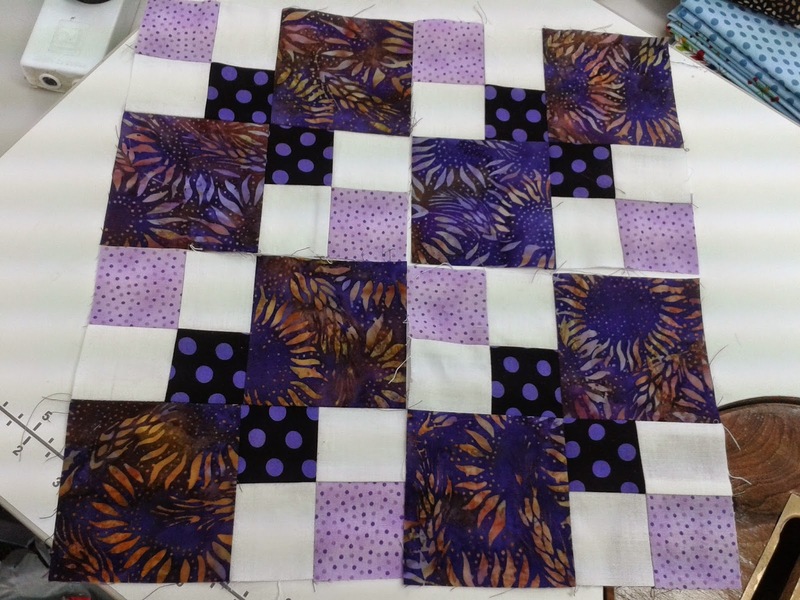 This is the scrap quilt block and Lorraine is making. She got about 18 of these made which was awesome going. They look really lovely. I managed to get my blocks made for the Paper Bag Challenge which takes place tomorrow. The purples are quite nice. Yayyyy, this a UFO that is now on the way to being finished. I sew the first 17 of these blocks in 1999...did you read that? 1999. 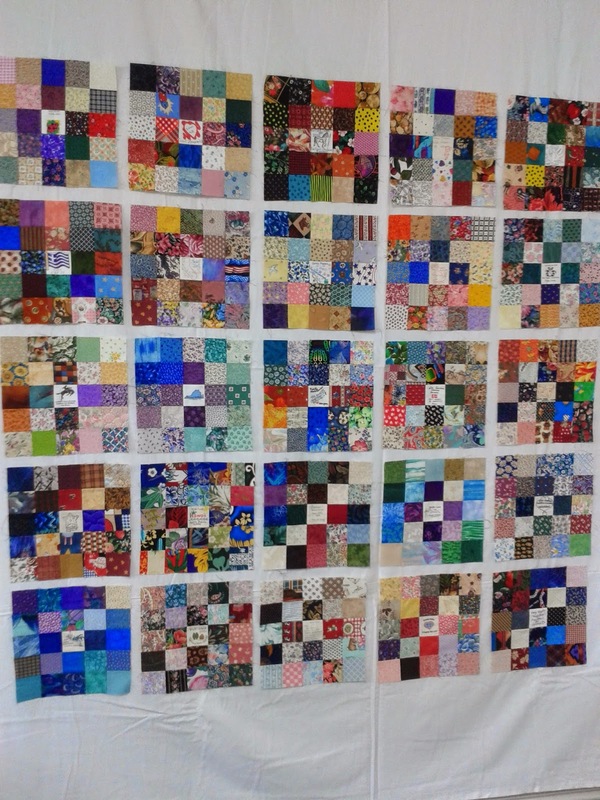 Oh my goodness that is 15 years ago...they were for a Y2K quilt, but after making these blocks my friends and I decided to do a colourwash quilt of 2000 pieces instead. These were put away until later...huh? Much later it seems. Now I will choose a sashing and border and finally get it finished up. I might have to give this one away. These are the signature squares - there is one in each block and they come from all over - USA, England, Australia, Russia and Belgium come to mind ...what fun it was. This is the quilt I managed to get finished on Thursday. 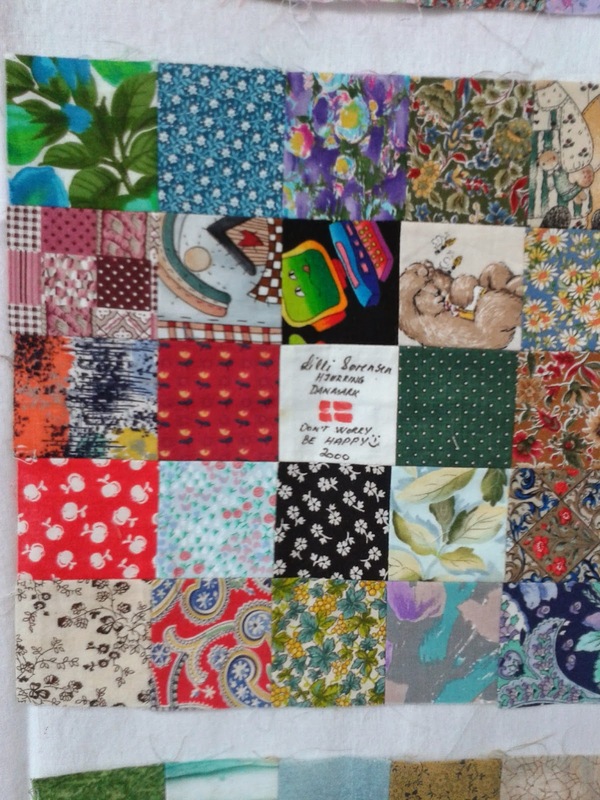 It is another of Jean's wonderful Eye Spy quilts made with lots and lots of different fabrics. 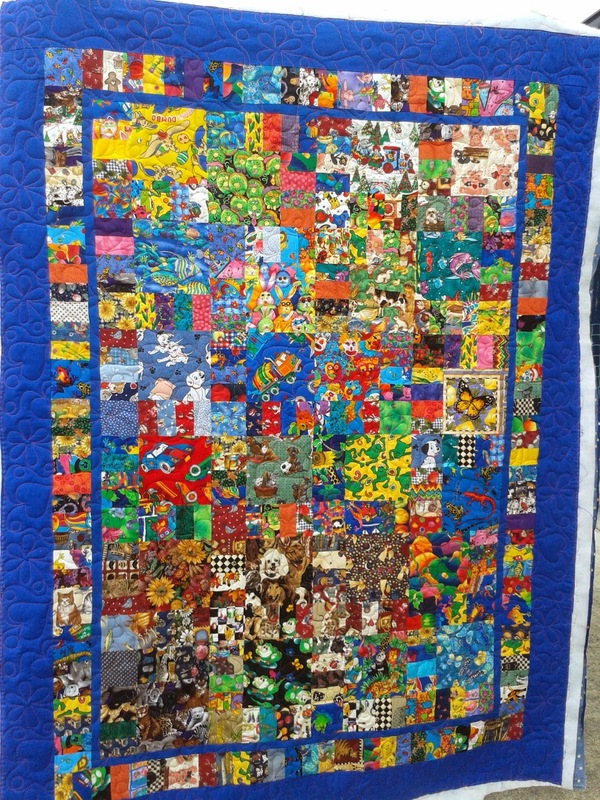 A child would be kept busy for hours looking over this quilt. 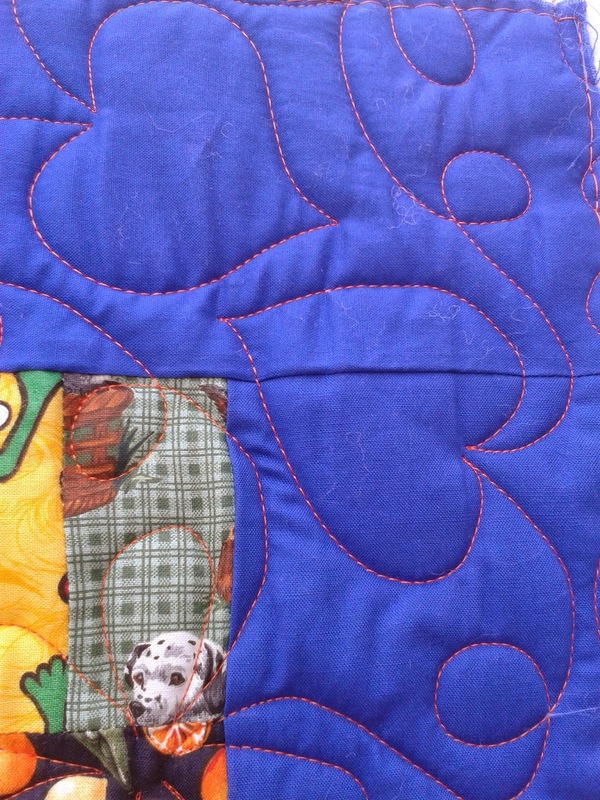 I was very daring and used a delicious Magnifico Flouro Orange thread...it came out gorgeous over the top of the bright blue border and almost disappears in the body of the quilt. Great result. The panto is "Hearts and Blooms" an old favourite that always looks good. Now you dont....lol. 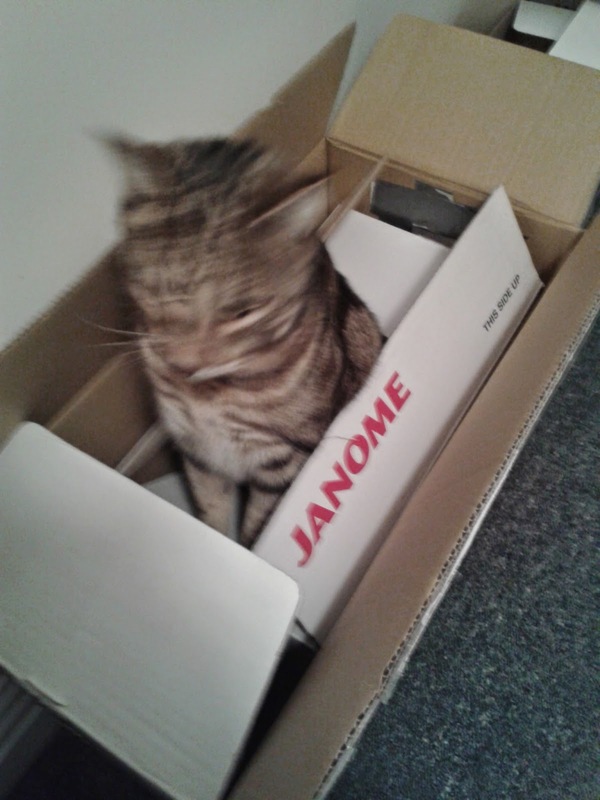 A box within a box is such fun for a cat! Sorry about the blurry photo. Well that's it for now. 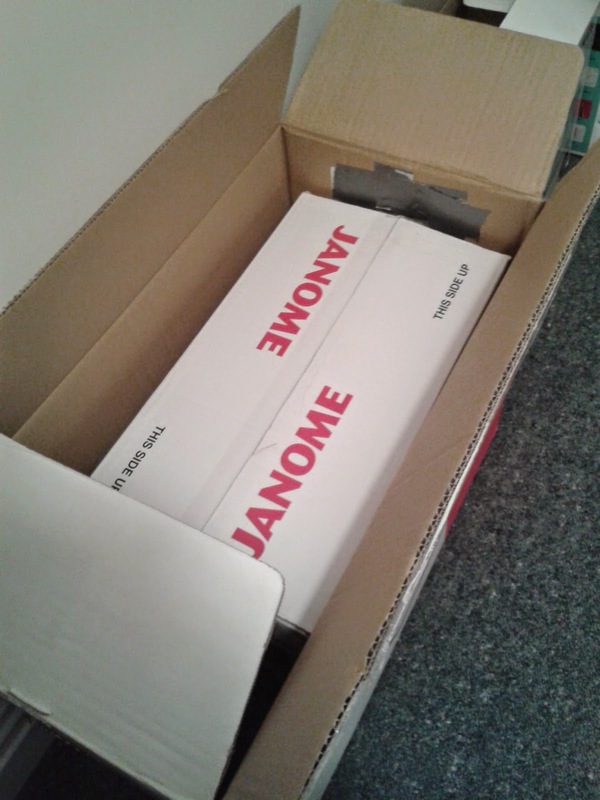 I did get some of my Aunt Grace put together which is so exciting, but forgot to take a photo before I came home. Will post it next time. Bye for now and take care. Thanks so much for visiting. 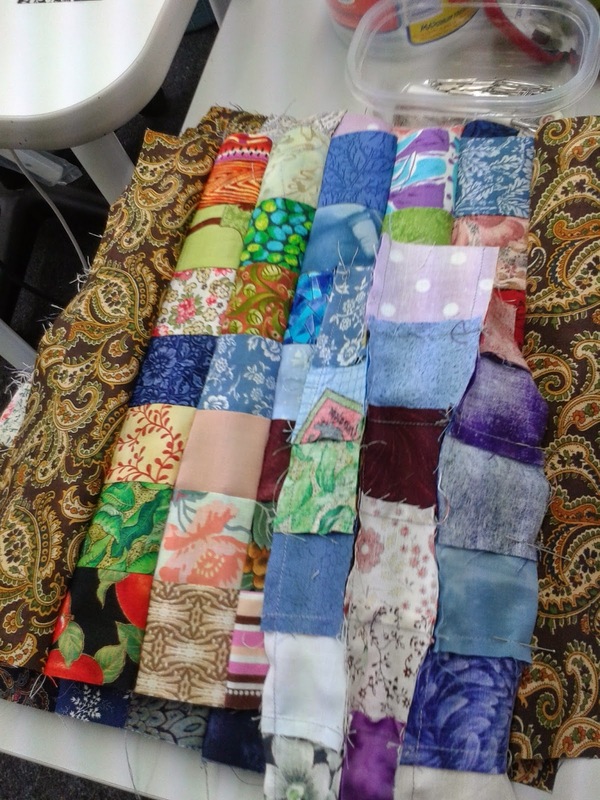 A little quilting...lots of puffing!